Aubrey Gilbert stops by the Haunted Bookshop hoping to sell his services as an advertising copywriter. He fails to accomplish his goal, but learns that Titania Chapman, the lovely daughter of his most important client, is a store assistant there. Aubrey returns to visit Titania and experiences a series of unusual events: He is attacked on his way home from the store, an obscure book mysteriously disappears and reappears, and two strange characters are seen skulking in a nearby alleyway. Aubrey initially suspects the bookstore’s gregarious owner, Roger Mifflin, of scheming to kidnap Titania, but the plot he eventually uncovers is far more complex and sinister than he could have ever imagined. 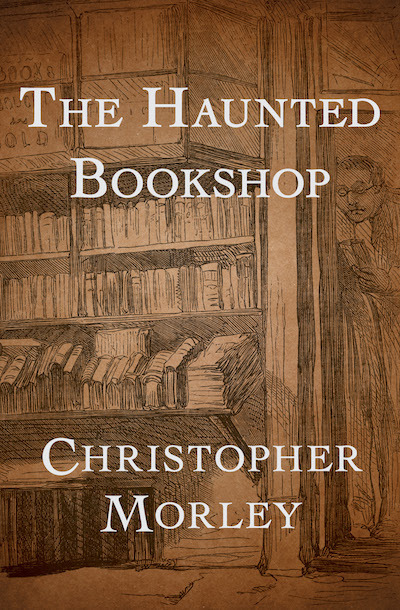 A charming ode to the art of bookselling wrapped inside a thrilling suspense story, The Haunted Bookshop is a must-read for bibliophiles and mystery lovers alike.